For fans of The Godfather, this might just be an offer they can't refuse (sorry) - The Godfather: The Official Motion Picture Archives is a guide to the movies like no other. Ranked second on the American Film Institute's list of '100 Greatest Movies of all Time', Francis Ford Coppola's epic film about life in the mafia is celebrating it's 40th birthday this year. Packed with four decades of memorabilia and rare photos, The Godfather: The Official Motion Picture Archive celebrates that milestone by taking fans into Coppola's mind as he made the film. If you're a fan, this is one book that you're not going to want to miss. The Godfather trilogy has amassed 52 Oscar nominations, 29 Oscar wins, and netted $484,000,000.00 in worldwide box office sales. This stunning book of memorabilia and never-before-published photos takes you behind the scenes to reveal the seldom-told story of how this epic was created against great odds. Despite the critical acclaim and financial success of the venture, the initial Paramount production was made under pressure-cooker conditions. Coppola was Paramount's third choice for director; no one wanted to gamble on an unknown actor named Al Pacino; and the studio initially wanted Robert Redford or Ryan O'Neal to play Don Corleone. This unexpected box office smash is brought to life through previously unpublished photos of experiences on the set and on-location filming that captures the grit of 1970s New York. Fans will also savor the book's rare stills from deleted scenes. With each passing decade, the stature of The Godfather grows, not just among film buffs but also among new and revisiting audiences throughout the world who are discovering the film on television and DVD. This treasure of American cinema has been imitated and satirized, but never equalled. 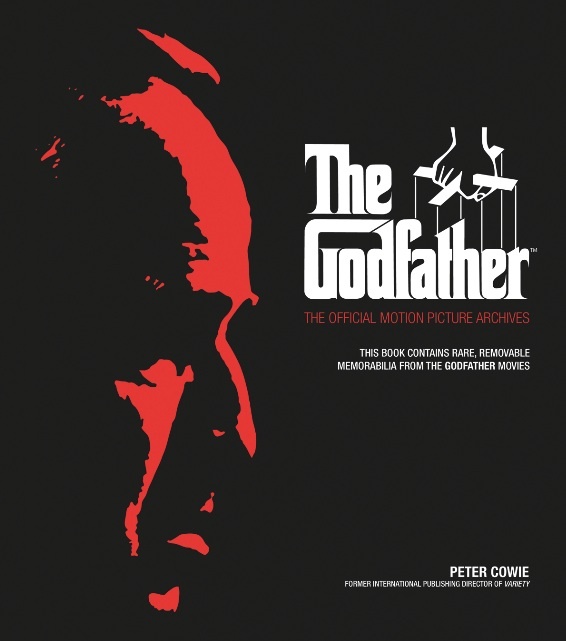 To celebrate forty years of The Godfather, Paramount studios has granted replications of fifteen items of archival memorabilia, including a poster publicizing the original film, a special leaflet on the prosthetic teeth worn by Marlon Brando, and a page from Mario Puzo's novel annotated during the writing of the screenplay. The Godfather: The Official Motion Picture Archives is the definitive behind-the-scenes guide to the making of one of modern film's greatest works. 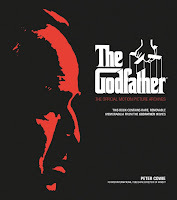 Look for The Godfather: The Official Motion Picture Archive by Peter Cowie on store shelves this October for $45.00 USD.